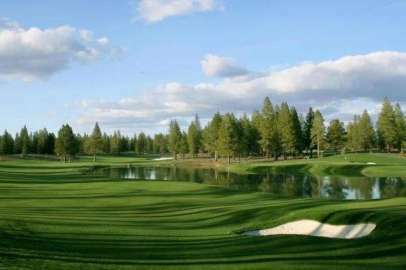 Located in the rolling hills in the town of Truckee, Gray’s Crossing is a newer community located on approximately 757 acres that combines the peaceful surrounding of the Sierras with the world-class amenities of a vibrant golf course community. Additionally, Gray’s Crossing includes more than 400 acres of open space, a neighborhood village and public hiking and biking trails. The 18-hole, Peter Jacobsen designed championship golf course was created with an eye on environmental detail. Employing green management techniques, the course blends seamlessly with its’ natural surroundings. A fitness center and swimming pool are also available for owners use. The homes are luxurious yet comfortable Sierra style with beautiful wood and natural stone finishes, combined with high, open beamed vaulted ceilings and lots of windows to let in the mountain sunshine and capture the glorious views.